Raas or Dandiya Raas is a traditional folk dance from Gujarat, India and is associated with the legends of the scenes of Holi and lila of Krishna and Radha at Vrindavan. Along with Garba, Dandiya is the featured dance of Navratri evenings and night long dance ritual. The Gujarati Association of Australia hosts the Navratri Dandiya Event and Festival in major cities like Melbourne & Sydney. The family friendly event often features performances and music from famous Gujarati musicians and performers. In addition, the event is celeberated with great food, colors, festive dress and night long Dandiya dance. 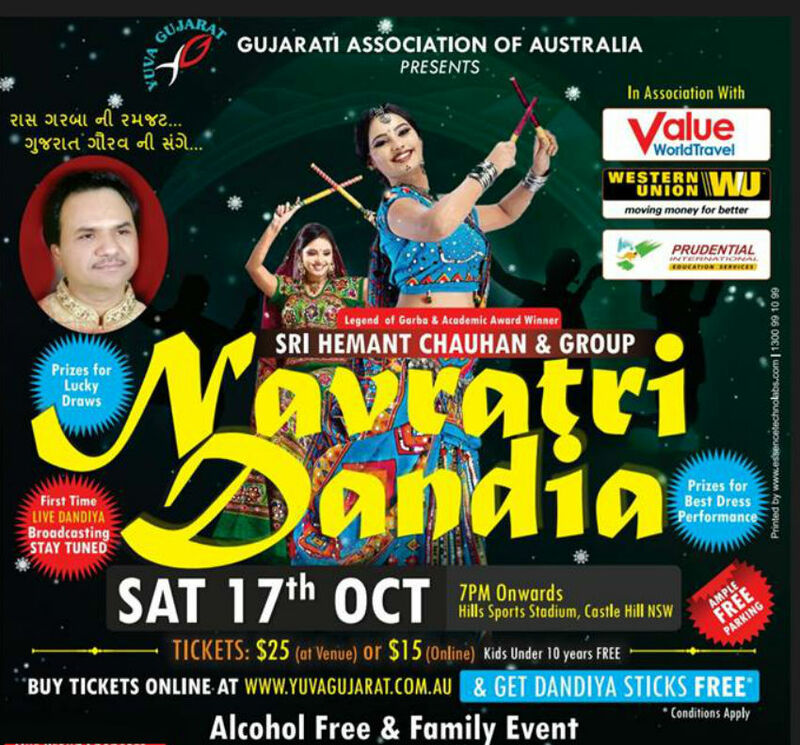 Yuva Gujarat proudly Presents Navratri Dandiya Festival to Sydney. Lets Play Garba Dandia raas and navratri with the legend of garba and academic award winner Shri Hemant Chauhan. It will be alcohol free family event. Tickets available online at www.yuvagujarat.com.au.